Become a Volunteer at the Rose Garden! Teasing Georgia is a yellow rose of delicate beauty; the flowers are of a particularly pleasing cupped formation. The centre petals are in the form of a rich, deep yellow cup, while the outer petals fall back and fade to palest yellow providing a most pleasing, two-tone effect. The growth is strong but graceful, displaying the flowers nicely. 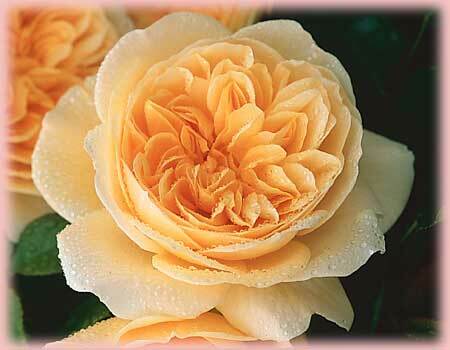 Pleasant, medium-strong Tea Rose fragrance. Good disease-resistance and repeat-flowering. May need some summer pruning if grown as a shrub. 4 ft. x 3.5 ft. or 8 ft. as a climber. Yellow, apricot shading. Strong fragrance. 41 petals. Average diameter 3.25″. Blooms in flushes throughout the season. Armed with thorns / prickles, bushy. Medium, semi-glossy, dark green foliage. Height of 42″ (105 cm).